If you are reading this and have followed the Kyron Homan disappearance coverage since he vanished from Skyline School on June 4th 2010, you know my coverage and commentary has focused on the macro analysis of the case details- both publicly available and via developed sources. This report contains newly released information known to law enforcement. It’s contents, to include reader commentary and moderation response, may not be reproduced or copied without express written consent by it’s author in accordance with applicable copyright law. *TONIGHT* LIVE ON THE DANA PRETZER SHOW- S. Christina Stoy, Editor In Chief discusses the Kyron Horman Case status LIVE at 9PM EST. On Tuesday July 30th, the attorneys representing Terri Moulton Horman, Kaine Horman and Desiree Young attended a series of case hearings. Not held in chambers as announced, but public guests were barred. On the docket- Desiree Young’s “stay” status of the $10 million dollar civil tort action brought against Terri Horman and the dissolution (divorce and custody) litigation brought by Kaine Horman, Terri’s estranged husband. Until July 26th, there were additional hearings and status conferences scheduled for the recently renewed Freedom From Abuse and Protection Act (FAPA) motion to contest and compel depositions in the restraining order prohibiting Terri Horman from contact with the couple’s daughter Kiara, now 5 years old. 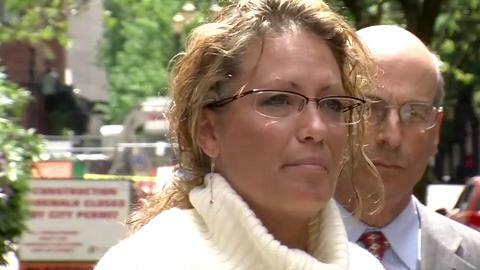 Horman has not seen her daughter since June 2010 despite several attempts through counsel to arrange parenting time. Engel, one of the attorneys representing Kaine Horman, argues that the FAPA case is consolidated with the divorce action, and therefore stayed. Peter Bunch, counsel for Terri Horman, argues that there is no consolidation order. Non attorney’s still do not understand how the initial proceeding to renew the FAPA order occurred when the plaintiff failed to file the required motion and accompanying affidavits in advance as required, or even serve the respondent’s attorneys until ordered to do so by Judge Henry Kantor once the hearing commenced. Kantor ordered the renewal anyway. I will let the goodly Oregon bar members weigh in on that anomaly. As of July 31st, the FAPA restraining order was expired and a civil no contact order was put in its place. The dissolution matter (divorce) stay has been lifted and Desiree Young announced she was instructing her attorney’s to withdraw the $10 million dollar suit financed by public donations. On the same front steps where Atty Rosenthal announced that they were launching the suit to peel the onion that is to include law enforcement, and to “make Terri Horman talk” was withdrawn in similar fashion. However, on this occasion, Multnomah County District Attorney Rod Underhill was not spotted on the steps observing. Rosenthal and Young indicated the recent appearance and testimony of former object of compulsion to testify, DeDe Spicher, as well as information that the investigative case file necessary (their words) to prove their claims would not be forthcoming. In an article analyzing the suit appearing on BOC it was predicted that Ms. Young would face possible countersuit and associated fees should the suit continue as filed. Attorneys for both Kaine and Terri appeared before Multnomah County Circuit Family law Judge Susan Svetkey on August 1, 2013. Judge Svetkey is Houze’s wife. The docket information for that hearing has not yet been entered into the file as of this publication. In recent interviews, Kaine Horman has intimated that his wife has expressed her desire to help find Kyron, or at least contribute to excluding herself as a possible suspect. He also admitted that he no longer has any communication with Desiree Young, Kyron’s mother. He sometimes wonders what law enforcement is actually doing on his son’s case. This is a firm departure from how Mr. Horman initially retained his six figure attorney Laura Rackner of Gearing, Rackner, and Engel & McGrath. Ms. Rackner appears to have promulgated her duties of late to her partner, Brett Engel. This all seemed to start when formidable and well known tort Attorney Mark Wagner came out of retirement to appear as counsel for Terri Horman. Wagner and Rackner know each other, and Rackner is no stranger to LE –based dissolution entanglements. In fact, Wagner represented her and her previous firm successfully. 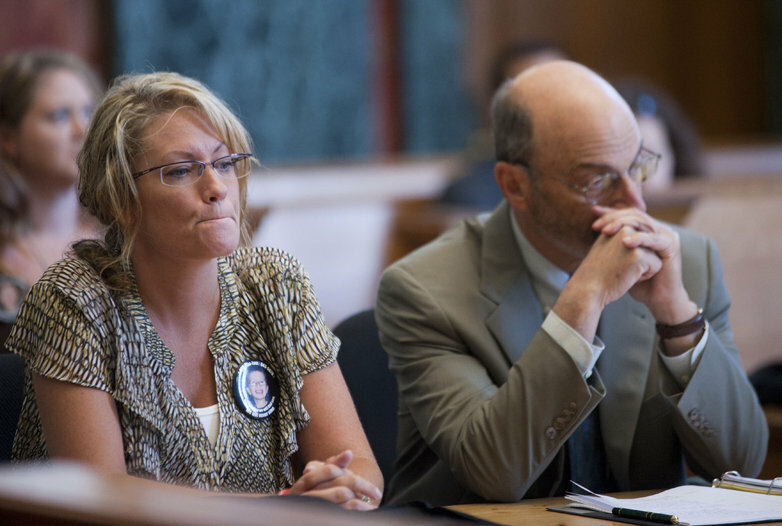 Kaine Horman’s attorney Laura Rackner is no stranger to law enforcement infused litigation. She is a former prosecutor for Oregon’s department of Justice, The U.S. Department of Justice, and Office of Chief Counsel. Ms. Rackner has specificity in Drug Enforcement Administration (DEA) casework. Born in Minneapolis, Minnesota, Laura received her B.S. in 1979 and her J.D. in 1984, both from the University of Oregon. Prior to entering private practice, Laura served as deputy district attorney in the Marion County District Attorney’s Office; assistant attorney general in the Oregon Department of Justice; and on the staff of the U.S. Department of Justice, Office of Chief Counsel, Drug Enforcement Administration. Martin Rob Cagan, The bagel king and according to him, a supreme target of a police shakedown at the hands of his former spouse’s attorneys was the litigious sort. In fact, this may be how Atty Wagner decides to come out of retirement and become part of Terri Horman’s defense team while the civil suit was active. Wagner’s firm represented Ms. Rackner in a suit filed by Rob Cagan in which he sued the Dueshete Police Department, A partner in the firm representing Caroleen Vanhoomissen, the suit (or ramblings of a very angry divorcee) alleges that the firm and its lawyers facilitated the difficulties of Mr. Cagan utilizing law enforcement sources directly by the attorneys was dismissed. Ms. Vanhoomissen, the sister of Judge Vanhoomissen is also the owner of a horse farm in Bend, Oregon. Blinkoncrime was unable to verify if it was the Bend horse farm searched in the early days of the investigation for Kyron. Attorney Rackner’s prior working relationship with the DEA, the very agency that supplied the undercover officer in the failed sting involving Horman landscaper Rudy Sanchez begs the question- Did Rackner use her contacts and/or credentials to facilitate a surreptitious ruse to gain favor for her client in anticipation of his wife’s potential arrest? Kaine is on record that law enforcement informed him they had probable cause to arrest Terri. What is not on record, is what came first- the referral to Rackner. Seems like an odd comment coming from a family attorney with a background as a prosecutor working with the DEA, which agency subsequently becomes involved in the case- or initially led to her representation- the chicken or the egg facts remain unclear. The ex parte and originally sealed restraining order did not exclude Terri Horman from the marital home. Was this an oversight of a very seasoned family attorney or was the basis of the now defunct restraining order as provided to Kaine Horman and Laura Rackner by law enforcement effectively invalidated by Terri Horman calling 911? Is the reason that Atty Engel seems to have taken over representation of Kaine Horman due to the fact that these actions could render Ms. Rackner a witness in her client’s case as opposed to his Attorney? The order was converted to a civil no-contact order which has not yet been added to the file for public review. Desiree and Kaine’s respective camps both claimed “protecting the integrity of the investigation” was their only interest although the ONLY 2 witnesses who were summoned for deposition by Terri Horman’s lawyers were- the lead investigator of Kyron’s investigation for 18 months- Bobby John O’Donnell and Kaine Horman. Portland, OR- As many of you have been following since June 2010, there is a new development today in the disappearance of Kyron Horman. As predicted at BOC, the civil suit brought by Deisree Young, Kyron’s Mother, against Terri Horman, Kyron’s step-mother and the defacto suspect in his disappearance has been granted an abatement. In a sealed filing, motions by Assistant District Attorney Michael Schrunk and Multnomah County Sheriff Dan Staton were granted, delaying the suit . The motions included supporting affidavits that continuing the action as already ruled would compromise the investigation. The decision presents an ironic twist . Terri Horman’s lawyers originally fought vehemently to abate the action, but were unsuccessful. As recently as last week, the Judge in the case ordered medical records to be accessible to both parties to the action. In Judge Kantnor’s decision to NOT abate the suit at the request of Attorney Peter Bunch for Terri Horman, the Multnomah County Prosecutors Office declared “no position” on the matter after being contacted by the court. It is not known if that order prompted the request to delay the suit . Sheriff Stanton, Eldin Rosenthal, Norm Frink and Stephen Houze declined comment at press time. On Monday, Judge Henry Kantor granted the motions to abate the civil proceeding and ordered the motions and affidavits filed by the district attorney and sheriff sealed. A hearing had been scheduled for Dec. 14 to hear Young’s attorney argue before the court to compel testimony from DeDe Spicher, an alleged witness in the case. Today’s ruling is likely to render a postponement of that proceeding. He said the new “investigative avenues” are based on information collected in the early phase of the investigation that are now yielding some results. Desiree Young, Kyron’s biological mother and arguably the bravest soul in recent memory as far as the frantic and grieving mom’s of missing children’s set is concerned, believes her youngest son has been kidnapped by Terri Horman. Or that she arranged for same by some unknown party and is demanding his location or the location of his remains. Her recent civil suit filed by Eldon Rosenthal makes these direct allegations against the woman that by her own admission, she entrusted with the care of her toddler son in 2003. Her suit is demanding $10 million dollars with a reservation to amend to include punitive damages later. The complaint is 5 pages long, or apparently $2million a page. Last month a ruling by Judge Harry Kantor denying an abatement motion will allow the suit to proceed, for now. The decision was widely seen as a win for Desiree Young in her tenacious quest to seek answers in the disappearance of her son Kyron from The Skyline School on June 4th, 2010. Headlines throughout the region and the evening talking head regulars praised the Judge’s decision for the Mom who has had no previous success in very public campaigns to engage Terri Horman’s cooperation in the investigation. The legal community however, not so much. The decision to move the case forward relied largely on the fact that although it was patently clear from Ms. Young’s filing and subsequent public commentary by her and counsel Eldon Rosenthal that she alleges Horman has committed criminal acts resulting in the disappearance of Kyron Horman. Terri Horman has neither been declared a suspect by police nor has she been indicted by a grand jury who continues to meet on the case. Kaine Horman, Kyron’s father, learned about the suit filed by his former wife by a member of the media seeking comment on his reaction to it. He has not been made a party to the civil action although he was awarded primary physical custody of the couple’s son in March, 2004. I count myself with the thousands that want this aggrieved Mother and Father to locate their child regardless of the outcome. That said, it is ridiculous to think a woman whose criminal attorney has advised her not to respond to a twice- renewed restraining order precluding her from seeing her now 3 year old daughter is going to utter a syllable outside of assertion of her 5th amendment rights during any deposition she is compelled to participate in. On June 4, 2010, Terri Horman, acting alone or in concert with others, intentionally kidnapped Kyron Horman from ; Skyline Elementary School. Kyron has not been seen or heard from by either of his parents since prior to Terri Horman taking Kyron to school that morning. Interestingly, Judge Kantor takes it upon himself to declare Terri Horman a prime suspect in BOTH the ongoing criminal investigations of a murder for hire plot and Kyron’s disappearance. While it is a fair statement to say that both sides agree that Terri Horman is the subject or focus via “laser pointer” of the investigation into Kyron’s disappearance and her attorneys used that point to support abatement. 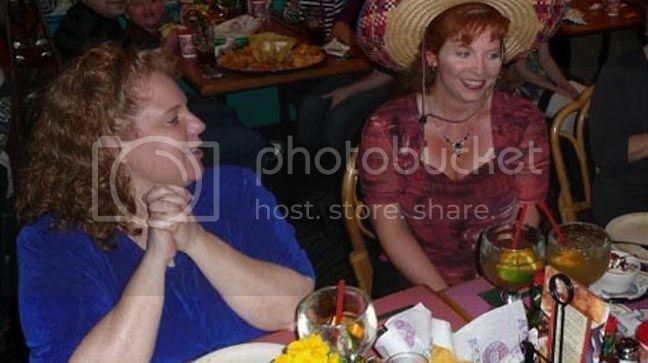 At no time and in no document or filing has either side said Terri Horman was a prime suspect of anything? Where does Judge Kantor come by such information? For his Honor to state his concern over tainting a jury pool, and then to allege, or divulge, as it were, that Terri Horman is a prime suspect in a murder for hire plot in an ongoing criminal investigation- is he privy to such information from some alternative source that is not contained on the record? A request for any exparte information should be forthcoming. Where is the conversation with District Attorney Rod Underhill or his office read into the record? It has not been. “…The judge is not referring exclusively to the Desiree Young lawsuit. Kaine Horman claimed in his TRO petition that law enforcement provided him with probable cause to believe that Terri Horman had attempted to hire someone to kill him. He again made the same claim in papers filed after the TRO petition (specifically alleging that Terri was sexting the landscaper who she wanted to murder him, then allegedly sexted Michael Cook). Kaine reiterated his allegations a third time in papers he filed last fall in response to Terri Horman’s motion for parenting time. Kaine once again claimed Terri Horman tried to hire a hit man when he sought to renew the restraining order in 2011. There was an additional line added to the renewal, and though it sounded like something new, it was just Kaine reiterating the same allegations. The Confrontation Clause of the Sixth Amendment applies to criminal matters, and it does not allow prior testimonial statements of witnesses to be admitted where the witness has since become unavailable. Crawford v. Washington, 541 U.S. 36 (2004). …” The more I think about it, the more I am convinced that the judge’s point was the last couple of pages that says Terri Horman’s lawyers cannot make any motion without appearing. This is to say that a special appearance allows a challenge as to the validity of a specific action, but it does not otherwise allow an attorney (nor a party) to file other types of motions or to seek other relief, as was done here. 1. Should the court require the defendant to file an answer to the complaint which admits or denies the plaintiffs allegations or simply allow the defendant to litigate as if she denied those allegations? If so, by when and for how long? 2. Should the plaintiff be required to establish “reasonable suspicion” or “probable cause” (as defined in criminal cases) that the defendant has done what is alleged through other evidence before the defendant is required to answer oral or written deposition questions under oath? 3. Should the plaintiff be required to serve written deposition questions, which would be subject to court review upon proper motion, and review the answers before taking the defendant’s oral deposition? Once the court has the parties’ answers to these questions, I will meet with the lawyers to form a schedule and plan for this case. Further briefing and hearings may be required as well. Defacto Suspect Is Defacto Parent? History is rife with hellacious stories of parents killing their own children, their own families, and ones parent status should not be considered a reason to exclude anyone. In fact, as we all know, it is 90% more likely that Kyron disappeared due to the actions of a parent or family member and all law enforcement investigators begin a parallel investigation of all with access or motive, from the start. A hypotenuse only exists within a right triangle. This case is anything but. Horman, through her attorneys has already certified she will protect her right not to incriminate herself and considering one of the remedies Ms. Young is seeking is that she does just that- who chaired the risk vs. reward strategy meeting in this case in its current form? In Horman’s favor, Oregon law is one of few in the country that specifies that a jury cannot take the fact that she pleads the fifth and ostensibly cannot or is very limited in her ability to defend her case into its deliberation considerations. Has Desiree Young been appropriately prepared for the litany of possibilities that might arise out of this filing? Like, say, a counter suit or an effective defense resulting in a dismissal with prejudice? An award for Horman’s attorney fees ?